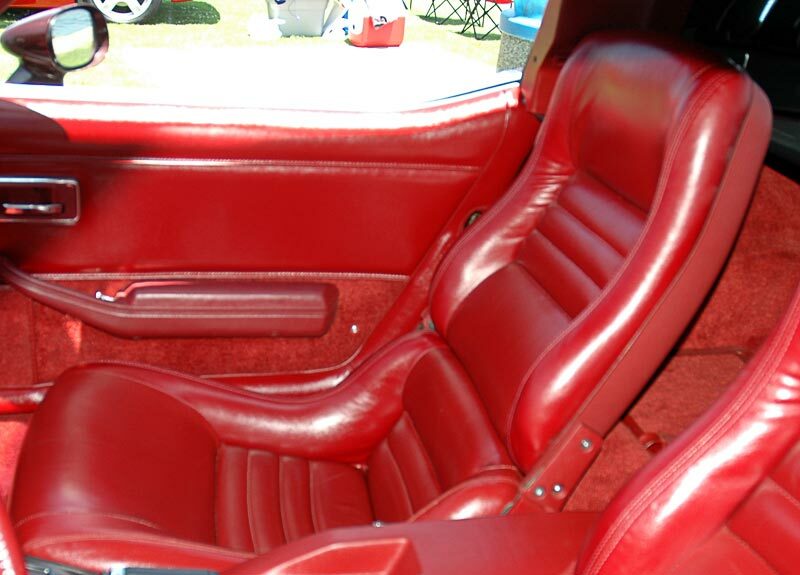 Changes in 1979 and 1980 were minimal. 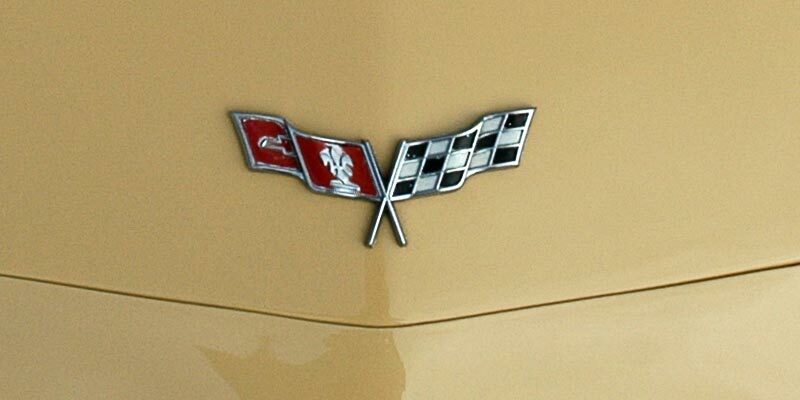 Left: 1979 nose badge and (Right) 1980, 1981 nose badge. 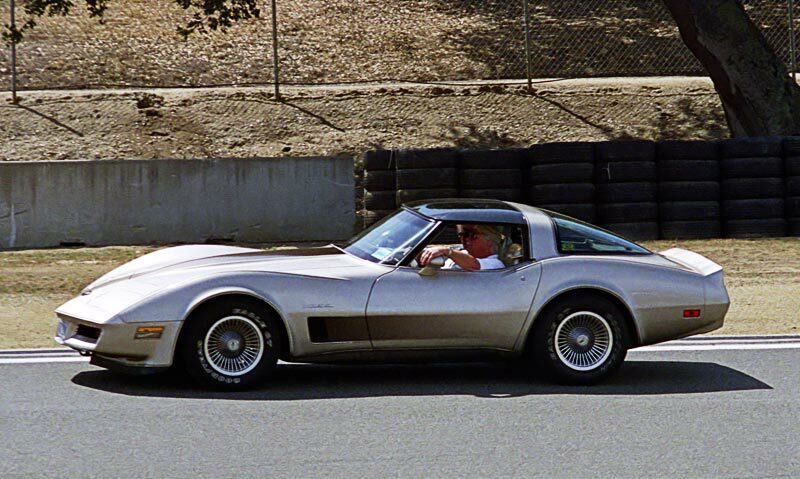 Right: the 1978 pace car special edition introduced a much improved seat which became standard on 1979 through 1982 Corvettes. 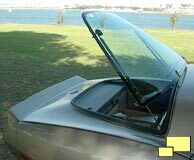 Benefits included better side support seating and a back that folded near the middle for improved access to the rear storage area. 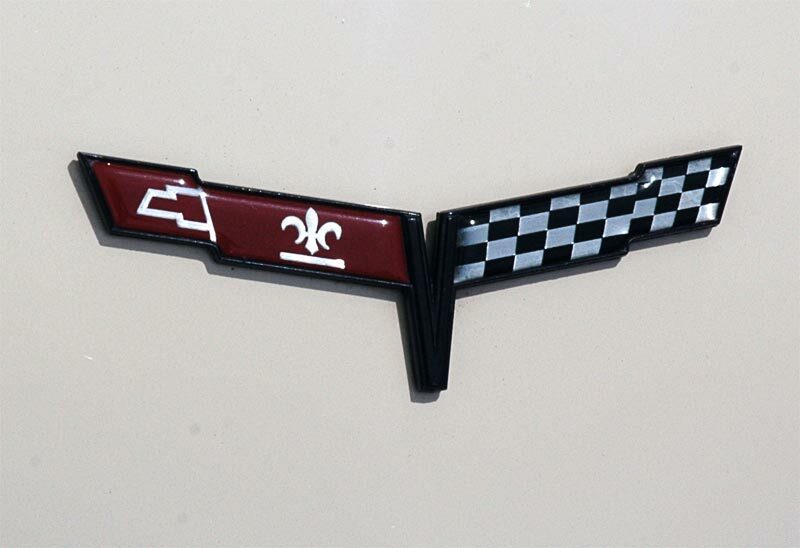 1981 Corvettes featured a black insert in the cove area on the front fender. 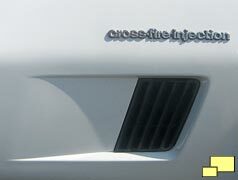 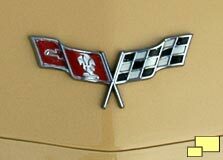 1982 Corvettes featured the same black insert and added the "Cross Fire Injection" badging which signified the new engine. 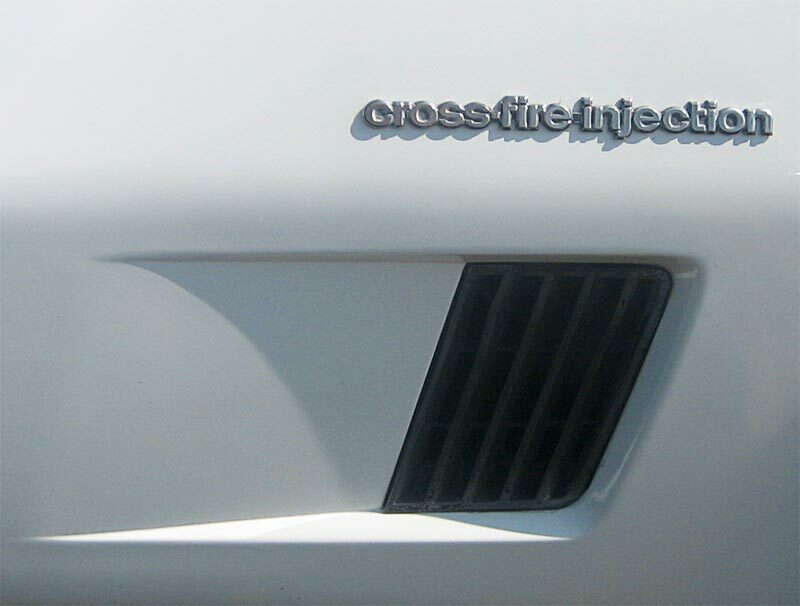 A distinctive two tone silver-beige paint was also part of a 1982 "Collector Edition" which featured a gradient or "fading shadow" motif on the side and hood (below). Distinctive cloisonnè emblems completed the package. 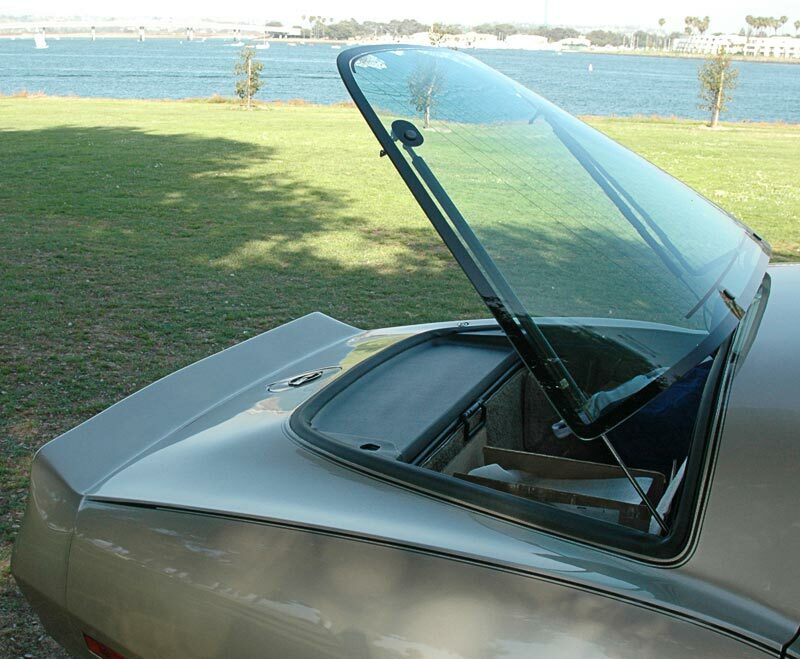 Left: C3 Exclusive for the 1982 Collector Edition; an opening rear hatch with gas struts. 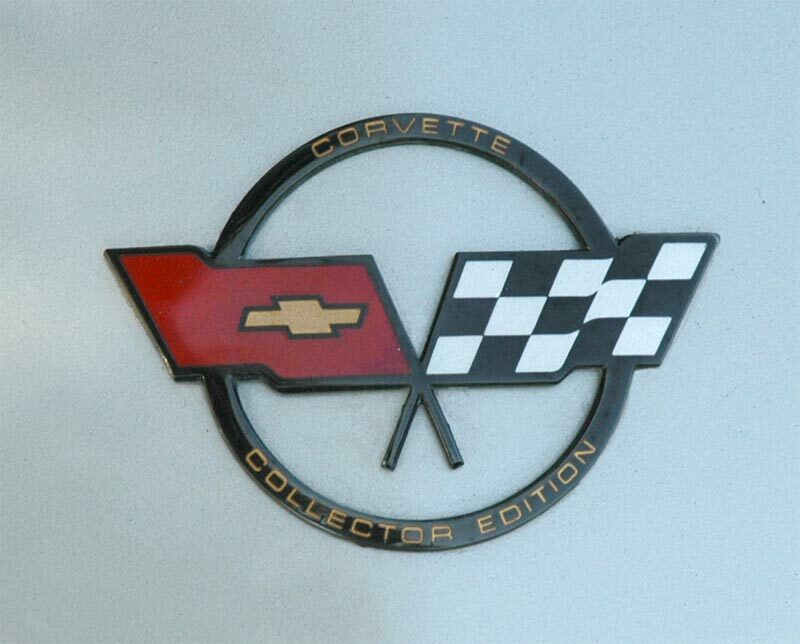 Right: 1982 Collector Edition nose badge. 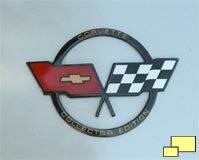 Non Collector Edition nose badges were similar but did not include the "Collector Edition" ring.